Queen Mary 2 is Cunard’s flagship and the most magnificent ocean liner ever built. A Transatlantic Crossing to or from New York on this incredible ship is a holiday like no other but her cruises from Southampton are also very special. She offers so much space on-board and such an array of state of the art facilities including a 3D Cinema, planetarium and superb spa. 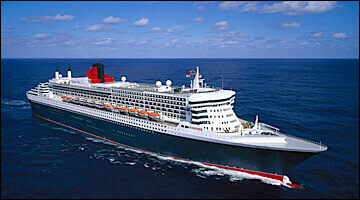 Queen Mary 2, affectionately known as QM2 was famous even before her first sailing. Her elegance, grandeur and sophistication captures the excitement of a classic sea voyage whilst her spacious decks delight guests with an array of unsurpassed amenities including the Canyon Ranch SpaClub and Planetarium at Sea. What really sets Queen Mary 2 apart is the wonderful sense of occasion she creates as she proudly continues to offer the only regular Transatlantic Service to and from New York.